Often the team responsible for managing room bookings for meetings and events will also be asked to organise catering and other items to be delivered to (or items collected from) locations that are not recognised locations within the CABS system. For example, a Sales Director may decide to have a meeting and working lunch in their office rather than take up a meeting room but still requests the booking administrator to arrange the lunch and have it delivered at a certain time. Alternatively, you may have a particular client event which requires the delivery of equipment or services to a space which you don’t usually book out, e.g. the reception area, a lawn or garden or even a corridor. Using CABS Flexible Service Delivery Point Manager means these situations can be easily managed in CABS and any costs allocated to the correct budget/charged to the correct client without the need to set up the service delivery point as new bookable spaces. This makes sure that such out of the ordinary service requests can be logged and tracked in the same way as any other meeting/event-related requirements. Similarly, the delivery and collection of goods and important documents is often a cause of considerable dispute both within your own organisation and with suppliers when ‘lost’ items can’t be located and nobody wants to take responsibility for the disruption and costs involved. Often it is the already busy reception staff who have responsibility for accepting deliveries, often of relatively high value items, and signing for them prior to informing the recipient of their arrival ready for collection. 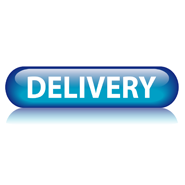 These items need to be logged and tracked to ensure they are delivered to the correct person, and to enable any queries about delivery to be checked at a later date should they arise. By adding the inexpensive, Flexible Service Delivery Point Manager module to CABS, these important tasks can be dealt with efficiently and effectively with minimum effort as a simple add-on to your wider room booking and service delivery system. If the examples mentioned above, or any similar scenarios, are causing you or your colleagues unnecessary grief, it’s probably a sign that you should get in touch with us right away to find out how we can help eliminate them for you.